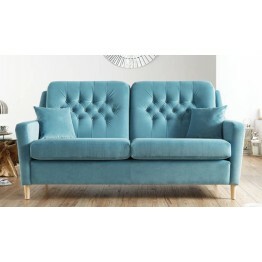 Sitting on neatly turned wooden legs and with a buttoned inside back this sofa and chair collection has all the hallmarks a vintage revival with the added benefit of a marginally higher back cushion and also wonderfully comfortable seating. Each sofa comes with a pair of scatter cushions and the seat interiors are reflex foam which is super resilient without being too hard. There are plenty of fabrics to select from and also a range of wood shades for the legs. The height of the back is very good for support of the neck and shoulders and the buttoning helps to create the correct posture for any user. 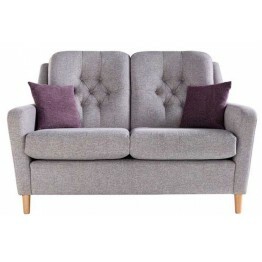 This is the Sara 2 Seater Settee from Vale Bridgecraft which has a sculptured buttoned back cushion .. 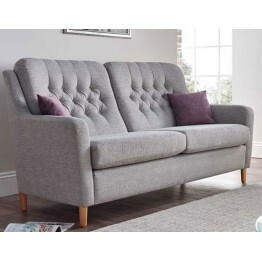 This is the Sara 2.5 Seater Settee from Vale Bridgecraft which has a sculptured buttoned back cushio.. 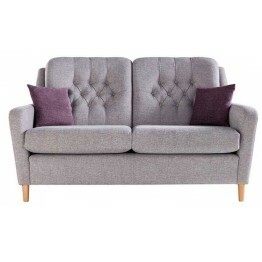 This is the Sara 3 Seater Settee from Vale Bridgecraft which has a sculptured buttoned back cushion .. 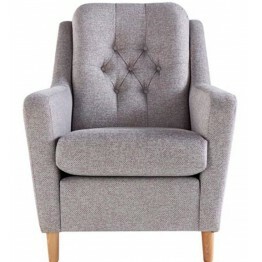 This is the Sara chair from Vale Bridgecraft which has a sculptured buttoned back cushion and stands.. 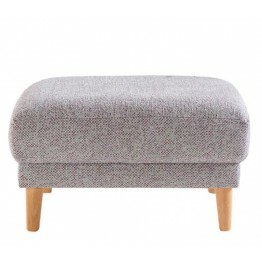 This is the Sara footstool from Vale Bridgecraft which stands on turned wooden legs. It also feature..